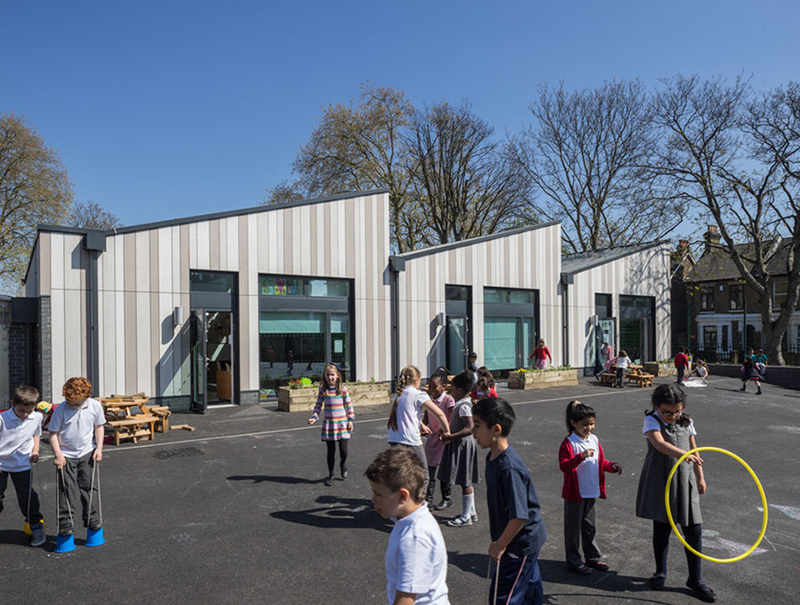 This is one of a series of school expansions in Forest Gate to accommodate an increase in child numbers within the borough. 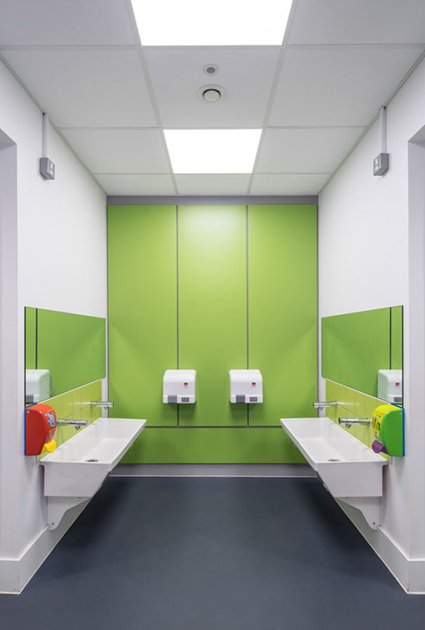 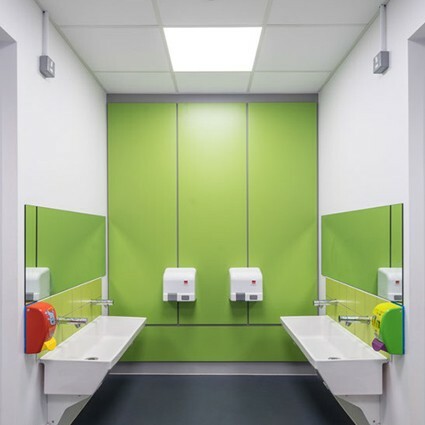 The new, single-storey building provides four new classrooms, a WC block and a strip of administration areas such as head teacher’s office and staff room. 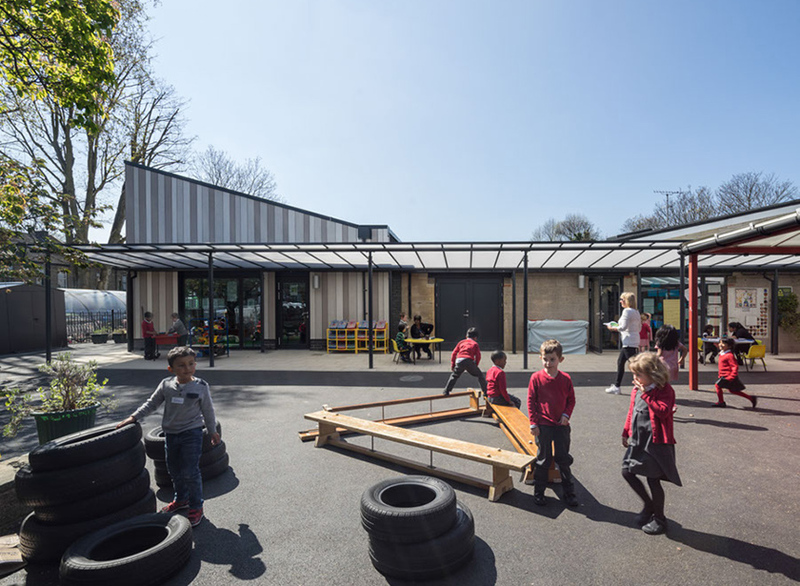 The scheme also re-configures existing spaces, improving circulation and a woodland area has been opened up to the main playground to increase the children’s play space. 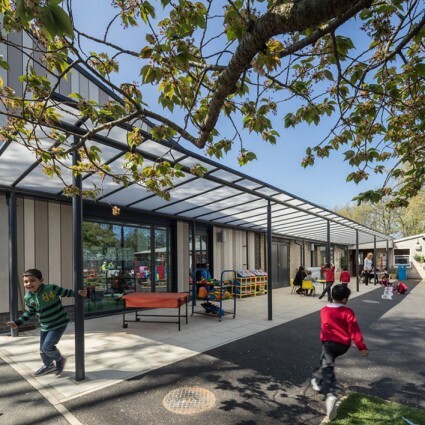 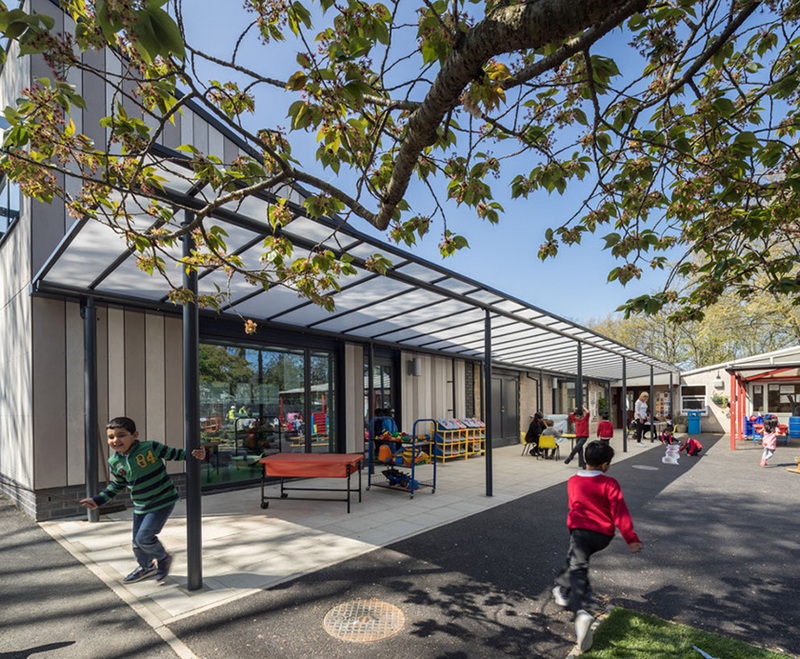 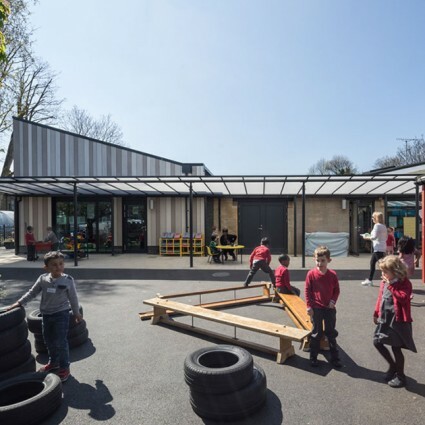 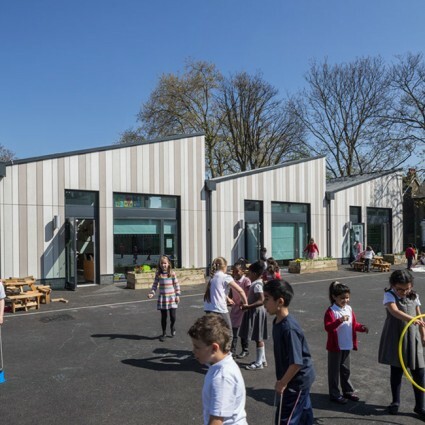 The saw-toothed roof, rainscreen cladding panels, bricks and aluminium-framed windows and doors have a distinct architectural language that responds to its immediate surroundings and provides a much needed modern and distinguished frontage to the school.